Get a professional water heater service by Clovis Plumbing Services! Offer applies to the service on a 40-50 gallon water heater. Servicing a water heater can be extremely dangerous, so it's best to hire a licensed plumber. According to professionals, the hard costs for a water heater service varies depending on your service area. "Pricing starts at about $200.00 and can go up to $1,000.00 to repair a water heater," says Tod Dale, Owner of Clovis Plumbing Services in Clovis, Ca. "It’s difficult to give an accurate estimate without seeing the water heater firsthand." "The cost will depend on the type of repair and that is going to be unique to each project," he says. "It will also depend on what type of water heater the customer currently has, if they want to repair or replace it, and what has to change to comply with local code." He adds that for his local community, most customers have existing 50 gallon natural gas water heaters, which can range from $200 to $1,000 to repair and $1,250 to 1,550 to replace. Hiring a licensed plumber ensures that electrical, gas and plumbing systems are properly repaired and meet local code. "You’re getting a licensed professional who is going to repair or replace the water heater correctly. Additionally, they will confirm all safety features are functioning, and the water heater service or replacement meets local plumbing codes," says Tod Dale, a licensed plumber in Clovis, Ca. "A water heater service can be dangerous and we discover poorly repaired or installed water heaters on a regular basis," he says. "On electric water heaters, you are working with 240 volts of electricity," Tod notes. If a gas leak develops on a gas water heater and it’s not corrected, it could result in major property damage or loss of life to the occupants. Other considerations for a water heater include making sure it is plumbed correctly. Maintain clearances established by code or the manufacturer and install overflow pans if required. Tod says one of the most important elements for gas tank-type water heaters or tankless water heaters is making sure the units are vented correctly to prevent being exposed to carbon monoxide gases produced by the water heater expelling combusted fuel. Call Us at (559) 940-0890According to the CDC (Centers for Disease Control), carbon monoxide poisoning causes close to 500 deaths each year and over 25,000 visits to emergency rooms. Hiring a licensed professional plumber with experience in water heater installation is a safety measure every homeowner should take when repairing a water heater, Tod says. If you've thought about investing in higher energy efficiency tankless water heater, then you should expect to pay substantially more. "For a gas water heater, the typical cost will be in the $3,000 to $4,000 range," Tod says. Tankless water heaters take much longer to install, a full 8 to 10 hours as opposed to 2 to 3 hours for a tank-type water heater. And it’s something only licensed contractors should attempt. This is due to many factors, including the installation of a dedicated gas line that can handle the large gas flow requirements when the unit is in use, any electrical modifications and special venting requirements. 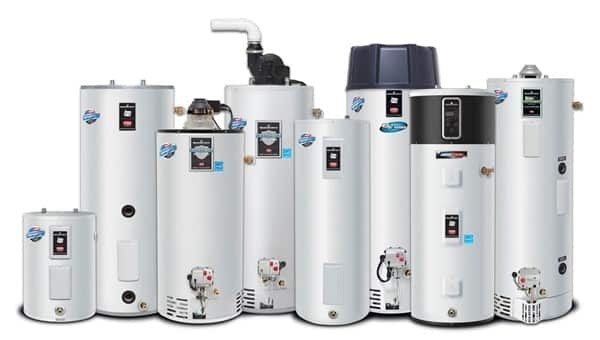 So before you perform a water heater service, take a close look at all of the available options.